Long Island events planned for 4th of July will keep you super excited and busy all day long. There is so much to do that you won’t realize how the day will pass. As the day ends, be ready with the fireworks show that will mesmerize you and leave you awestruck. The skies are colorful and the streets are playful to celebrate the moment of freedom. Reads our guide further to plan your day wisely. 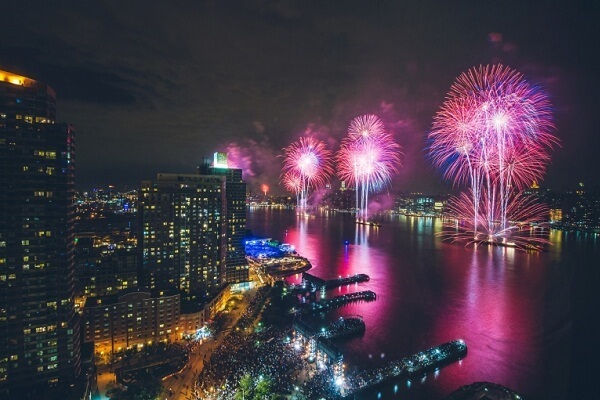 Care to watch the most popular 4th of July Long Island Fireworks Live Streaming? Rush to NBC to watch live stream. Ensure that your TV is switched on or you will miss the fun. Tune in your radio to WALK 97.5 FM. Most of these live fireworks are broadcasted from Eisenhower Park, Rockville Center, and Oyster’s Bay. 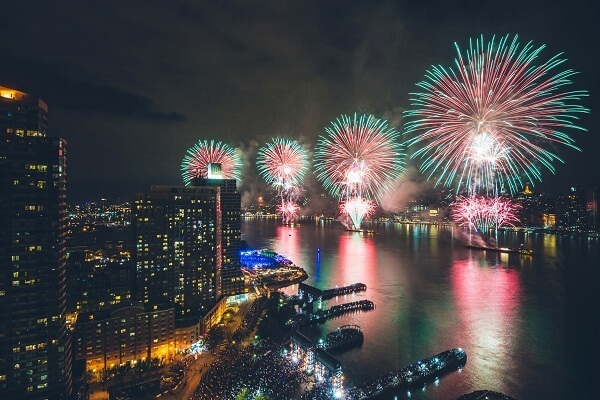 If you wish to add more fun to your Independence Day celebrations, Jones Beach and Glen Cove are ideal choices to visit. The fireworks in these areas are simply outstanding. 4th of July Long Island Events can add some pleasant memories to your life. The Town Park offers you a free entry with loaded surprises. Attend the Annual Independence Salute and live concert followed by brilliant fireworks show at night. Jones Beach expects a good number of people every year for the Independence Day celebrations. You will find most families gathered to celebrate these special moments. If you wish to watch some unique fireworks, Grucci Fireworks at the Pennysaver Amphitheater are an ideal choice. Fireman’s Field is another name to mark in your list for some splendid events and concerts. 4th of July Long Island Parade is the pride moment for all. Some of the remarkable parades take place at Port Jefferson. The entire village comes alive with great patriotic energy; many families gather with their kids, and spectacular fireworks take place on the night of 4th of July. Oysterponds give you a marvelous view of parade early morning, followed by great food, music, and dance till night. They also host various quizzes and contests like bicycle decorating contest. Enjoy the Independence Day with great pride and joy as this is a day to remember. If you enjoyed reading the article, share it with your friends and family today.